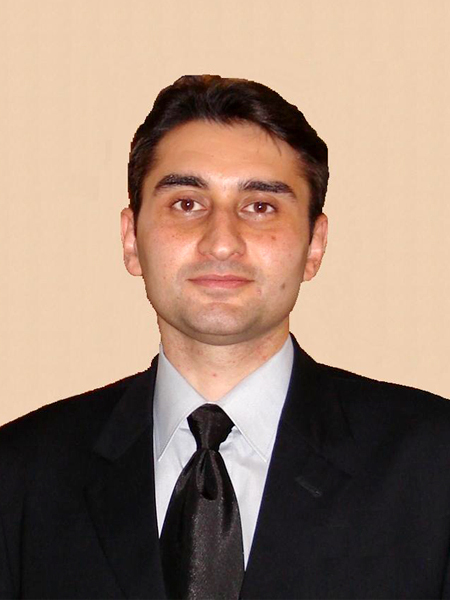 Dr. Armen Bagdasaryan holds Ph.D. degree in Applied Mathematics from Russian Academy of Sciences and M.Sc. degree (Dipl. Math) with high honors in Mathematics from Yerevan State University, Yerevan, Armenia. He worked as a researcher at the V. A. Trapeznikov Institute for Control Sciences of Russian Academy of Sciences (ICS RAS), Moscow, and was a faculty member at Moscow Technical University of Com- munications and Informatics, Moscow, where he held an Associate Professor position at the Department of Applied Mathematics and Probability Theory. Currently, he is a Senior Research Scientist at the Institution of the Russian Academy of Sciences, V. A. Trapeznikov Institute for Control Sciences of RAS, Moscow, Russia. His research interests cover a range of topics in pure and applied mathematics and include Mathematical Analysis, Number Theory, Mathematical Physics, Complex Systems Theory, Mathematical System and Control Theory, Modeling and Simulation of Complex Dynamic Systems. He was awarded a Special Scholarship for Outstanding Young Scientists named after the Academician of the Russian Academy of Sciences Vadim Aleksandrovich Trapeznikov. Dr. Bagdasaryan is a Member of American Mathematical Society (AMS), Member of Society for Industrial and Applied Mathematics (SIAM), Member of Mathematical Association of America (MAA), and Member of Association for Computing Machinery (ACM). Dr. Bagdasaryan serves on the editorial boards of several mathematics jour- nals, and he is a liated with the IASTED (International Association for Science and Technology for Development, Canada) where he serves as a member of the IASTED Technical Committee on Modeling and Simulation. He has published a number of pa- pers on mathematics and computer science, including several papers at the interaction between information technology, control and systems' modeling.